Showing recent results 4351 - 4365 of 4500 products found. Switch between voltmeter and battery tester while testing. 264 channels max. 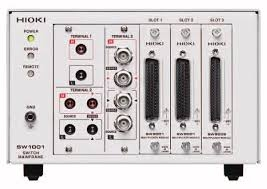 (2-wire) to 72 channels max. (4-terminal pair). Circuit design friendly for impedance measurements that minimize errors between channels (Effect: 0.01% f.s.*). 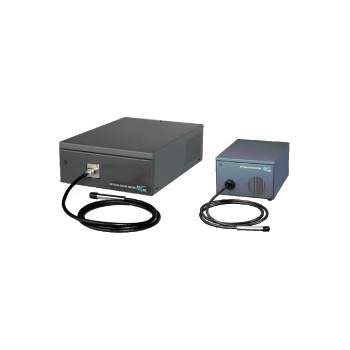 For BT4560 100 mΩ range, R measurements, and a measurement frequency of 1 kHz. For OCV measurement, internal resistance measurement, and external potential measurement of battery cells. Measure battery modules up to 60 V DC. 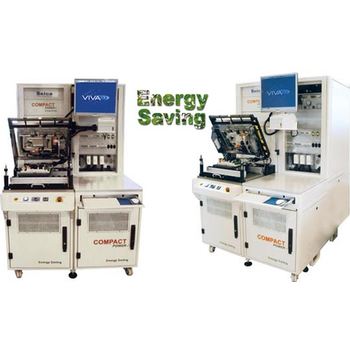 Switch between voltmeter and battery tester while testing. 66 channels max. (2-wire) to 18 channels max. (4-terminal pair). Circuit design friendly for impedance measurements that minimize errors between channels (Effect: 0.01% f.s.*). 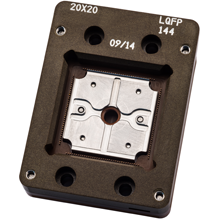 For BT4560 100 mΩ range, R measurements, and a measurement frequency of 1 kHz. For OCV measurement, internal resistance measurement, and external potential measurement of battery cells. Measure battery modules up to 60 V DC. Single Phase Relay Test Kit - Scope T&M Pvt, Ltd. 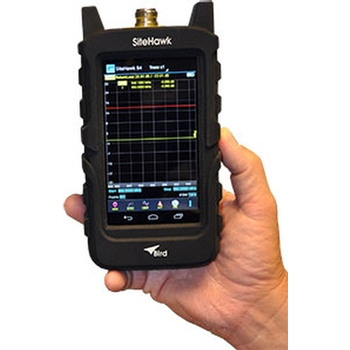 Birds' line of Handheld RF Analyzers are rugged solutions for your field analysis needs. 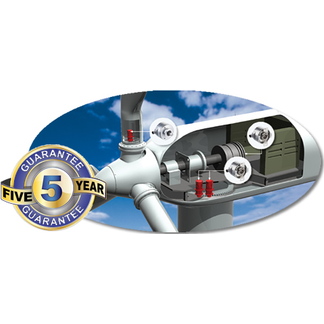 Ranging from the multi-functional SignalHawk Series and Spectrum Analyzers, to the SA Series, 25-6000 MHz Site Analyzers - a user-friendly test solution for installing, maintaining, and troubleshooting your antenna and cable systems, to the AT Series, Antenna Testers which provide a cost-effective, fast, graphical way of determining the quality of mobile and base station antennas. 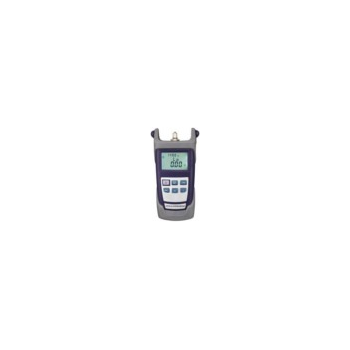 PM300 - UC Instruments, Corp.
CARY-PM300 Optical Power Meter is a newly designed fiber optic tester, which aims at the installation, engineering acceptance and maintenance of fiber network. 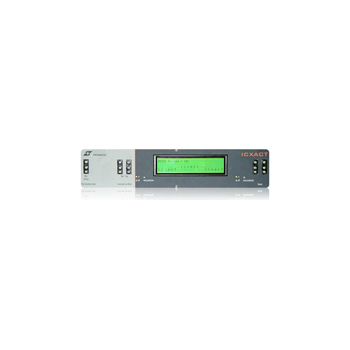 Compared with other usual power meters, the RY-PM300 has more functions, like automatic wavelength identification, auto wavelength switching, intelligent backlight, data saving via USB port. Combined with RY-LS300 handheld optical light source, it offers a quick and accurate testing solution on both SM and MM fibers. The Power System is a test platform conceived to verify and certify the operation of power modules.The complete structure, combining two Multi standard cabinets, is sized to contain all of the resources required for testing: drive/sense modules, power modules and load simulators.In this tester, in addition to strictly perform the requested measurement as per technical specifications, the issues of consumptions and dissipations were taken into account, integrating an Energy Recovery circuit which enables reuse of output energy to supply the system. 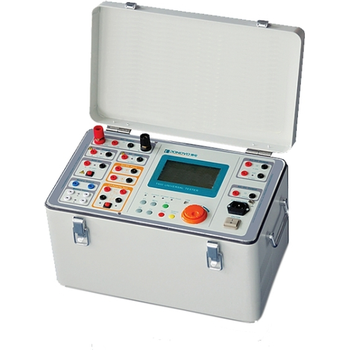 This is a high specification tester that will measure many cable parameters. It measures cable resistance very accurately using the Kelvin 4-wire method. It also tests for shorts between pins at a low voltage. The next test is to measure insulation between connections at a higher voltage. This is carried out at up to 1500 Volts DC with resistances of 10 to 500 Meg ohms. 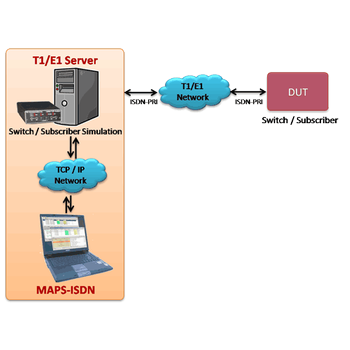 MAPS-ISDN - GL Communications Inc.
GL's MAPS- ISDN is an advanced protocol simulator/tester for ISDN simulation over TDM (T1/E1) and generates high volumes of ISDN traffic. 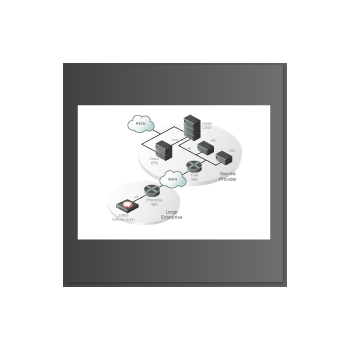 The tester can simulate ISDN signaling as defined by the ITU-T standards. 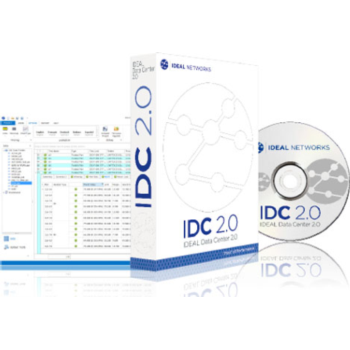 Currently this test tool is used to perform testing using ISDN protocol messages over T1/E1, and offers a complete solution for testing, troubleshooting, and maintenance of devices and networks implementing PRI ISDN. It is useful to test ISDN products designed for either U or S/T interface, including network terminations, Type 1 terminating equipment, and terminal adapters. 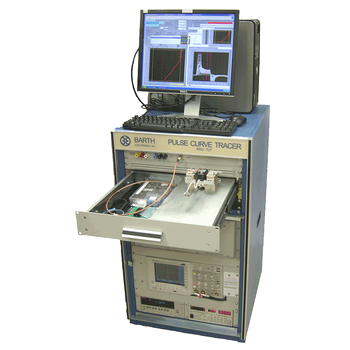 The Barth Pulse Curve Tracer, Model 4002 TLP is the first commercial TLP (Transmission Line Pulse) tester to be produced since this method of testing was developed 18 years ago. TLP testing is used as a pulse type curve tracer to measure the current-voltage characteristics designed into ESD (Electro-Static Discharge) protection circuitry. This new hardware was designed to fit the needs of present users of TLP who have requested a commercial TLP test system that is more repeatable and produces faster test results than homemade systems. The OCM-510 Color Tester has an internal Czerny-Turner spectro- scope and along with providing both high-wavelength precision and high-wavelength resolution in a compact unit also employs a high-precision yet high-sensitivity line sensor in the detector to serve as a versatile spectrophotometric device for making optimal high-speed measurements.Unit is also extremely easy to handle and setup since light is input to the spectrometer by light guide fibers. 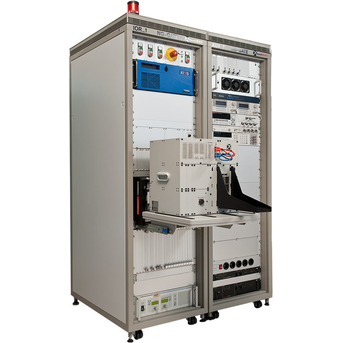 The spectrum analysis capabilities make this tester the preferred tool of the equipment manufacturer and DSL development groups. They use the ICXACT to debug and improve the data throughput up to the limits imposed by the Physical Layer, while adhering to the recommendations as set by the national Spectrum Regulator and the international Telecommunication Bodies. Service Providers are using it to probe the quality of the service over the network.